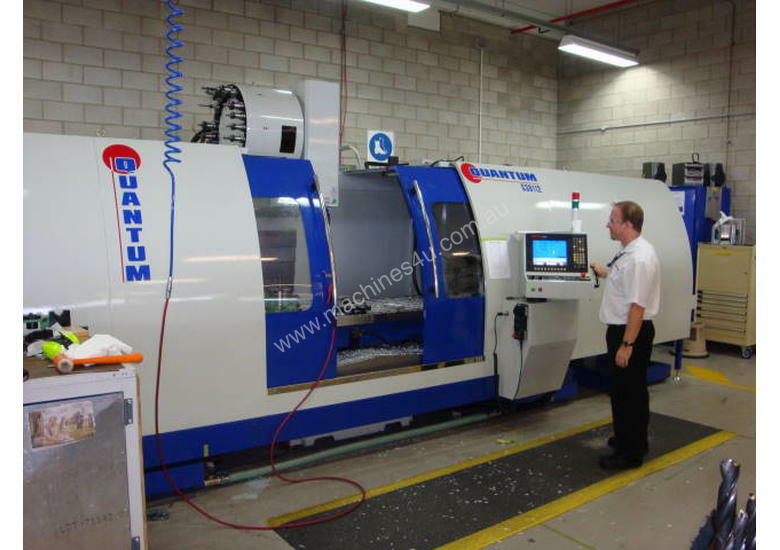 Quantum S Series Vertical Machining Centres offer a high level performance at entry level price. With capacities ranging from 1000mm up to 4000mm in the X axis, and 500mm to 1000mm in Y. Models S-1500D and larger are also available with an optional 1,000mm spindle to table height, and 900mm Z travel. Chip management options and more. Hundreds in service around Australia. Delivery and Service available Australia wide. CNC Machinery Sales has a highly skilled team of resident Service Engineers located in WA, SA, NSW and Qld servicing all States and Territories as well as our international clients.